In a Nutshell: While most news about North Korea centers on nuclear weapons or peace talks, the story of how brutally repressive the regime remains often takes a backseat. Liberty in North Korea (LiNK) is a nonprofit organization that shines a light on the country’s human rights abuses by rescuing North Korean refugees and empowering them to share their stories through international media channels. The organization, founded in 2004, creates documentaries and resources and teaches refugees to become voices for change. And by getting the public involved through donations, fundraisers, and advocacy, LiNK is changing the narrative on North Korea. Jessie Kim grew up in North Korea. Her mother died when she was 11 years old. After enduring that tragedy, she was neglected by her father and often left to scavenge for food. So she had to start earning money to survive. One summer, she worked 10 hours a day collecting wild herbs in the mountains and selling them in town. At the age of 12, she started her own black market operation selling soju — a popular Korean rice alcohol — in exchange for potatoes, which she sold for a profit. But when the North Korean government revalued its currency in 2009 to punish black market traders, things changed for Jessie and many other North Koreans. Jessie realized she could no longer make a living and decided to cross the border into China in 2014. She made the perilous 3,000-mile journey to Southeast Asia, where she was recognized as a refugee and resettled in South Korea. Today, Jessie is studying international and Chinese business and works with Liberty in North Korea (LiNK), a grassroots organization that provides a platform for her to share her remarkable story. “She’s shared her story with everyone from diplomats in Washington, D.C., to movie stars in Los Angeles and exemplifies the potential that the North Korean people have,” said Ian McKay, Marketing and Communications Coordinator for LiNK. Jessie’s story isn’t one you’ll find scrolling through mainstream news coverage of North Korea, which tends to focus on leader Kim Jong-un, nuclear arms, and the regime’s diplomatic — or provocative — exchanges with world powers. By helping North Korean refugees find their way to freedom and giving voice to their stories, LiNK is working to improve human rights and build advocacy for the people of North Korea — and the organization offers many ways to get involved. 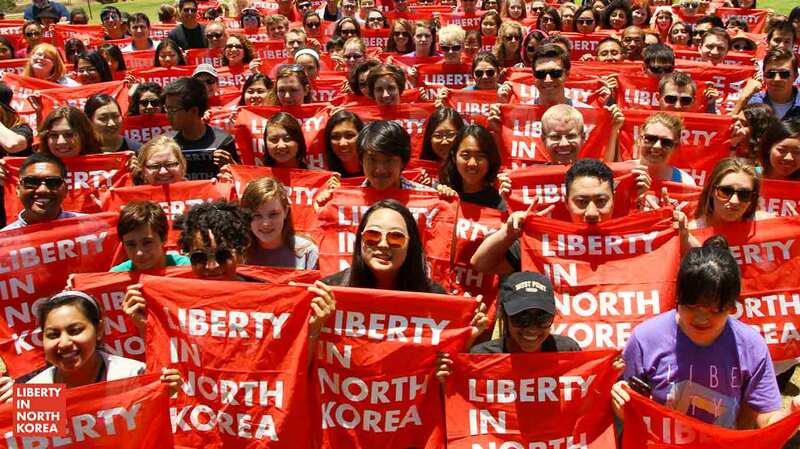 Liberty in North Korea got its start during a conference at Yale University in 2004, where a small group of Korean college students from the East Coast decided to do something about human rights in North Korea. Initially, the group’s focus was policy change and lobbying lawmakers in Washington, D.C. Five years in, the group’s leadership decided political activism wasn’t the most effective avenue for change. Today, LiNK focuses on rescuing North Korean refugees who are fleeing the repressive regime, as well as changing the narrative about the country through documentaries and multimedia storytelling. Today, LiNK uses the power of storytelling to inspire a grassroots movement to pursue change. Ian, who is fascinated with the relationship between North and South Korea as one of the world’s most intractable conflicts, met someone working on a LiNK documentary while he was teaching English in Seoul post-graduation. “I got to see how the South Korean education system addresses the Nork Korea issue, and traveling to the Demilitarized Zone (DMZ) a few times opened my mind to the fact that this is really a people issue,” Ian said. After closely following LiNK’s work, he decided to get on board and has been a part of the organization’s team going on two years now. During the first year of its restructure, LiNK leadership concluded that more refugees needed safe passage to freedom. So the organization started running rescue operations from the vantage point of neighboring China. The total cost for one rescue is $3,000 — which covers basic needs, transportation, accommodation, fines/fees, emergency contingencies, resettlement assistance, and empowerment programs. But, in LiNK’s free passage model, none of this cost is passed on to the refugees. While international leadership and human rights organizations continue to pressure the Chinese government to offer refugee status to North Koreans who cross its border, China doesn’t yet provide that protection. Those who are caught face arrest, repatriation, and whatever punishment the North Korean government sees fit — anything from forced labor to time in political prison camps, both of which commonly include torture. Refugees who avoid arrest face other perils, such as being sold into slavery. That is what happened to Joy, who enjoyed a peaceful childhood working with her parents on their farm — poor but never starving. When her stepmother started pressuring her to get married at age 18, Joy decided to cross the Tumen River into China in search of a better life and to earn money for her family. Like many other North Korean women who cross into China, she was immediately trafficked and sold into marriage for the equivalent of $3,000. Although her husband treated her well, Joy continued to look for an opportunity to be truly free, without the risk of being sent back to North Korea with her newborn son. To date, LiNK has rescued more than 1,000 refugees. “These kinds of stories remind us that there are individuals behind them. The potential that Joy has now in this season of change is incredible,” Ian said. Another essential part of LiNK’s mission revolves around changing the narrative on North Korea. Ian explained the predominant narrative and what it’s missing. But it can be hard to keep North Korea’s human rights abuses in sight when the images its state-controlled media feeds the rest of the world tell a different story. By contrast, images that appeal to the human element of modern conflicts quickly catch the world’s attention. For example, the devastating images released to the media during the Syrian civil war quickly mobilized support for intervention and humanitarian efforts. But LiNK is changing the narrative on North Korea by empowering refugees to share their stories through creative media, major news outlets, and speaking engagements with government leaders, organizations, schools, and communities around the world. Liberty in North Korea offers supporters many ways to get involved, including donations and advocacy. LiNK also releases impact reports about its work, creates full-length documentaries, and provides other resources to inform the world about North Korea’s history and the challenges of its people. While North Korean repression is a serious concern, there’s also a reason for hope. LiNK’s documentary on the Jangmadang Generation, or Black Market Generation, shows how North Korean millennials are changing the country from the inside out through de facto businesses and circulation of foreign media and ideology. Stories like Joy’s and Jessie’s don’t end with rescue and resettlement. Experiencing life outside their home country often gives North Koreans a new perspective and motivation to use their voices as instruments of change — and the LiNK Advocacy Fellows program helps them prepare to communicate their stories of life in North Korea. Launched in South Korea in August 2018, LiNK Advocacy Fellows has been helping North Korean students, including Jessie Kim, develop public speaking, critical thinking, and leadership skills. “We’re excited for our next class of LiNK Advocacy Fellows to start at the end of 2019. We hope to grow this within the next five to 10 years and have 100 LiNK Advocacy Fellows participants appearing in international media, speaking in Washington D.C., and sharing their stories to change the world’s perspective and offer a vision for North Korea,” Ian said. But refugees and North Koreans still inside the border aren’t the only ones becoming agents of change. More than 70,000 people to date have become involved by donating to LiNK, holding personal fundraisers, or simply raising awareness. And 100% of donations to LiNK — including fundraisers — support its programs and fund rescues. Even if you can’t give financially, Ian stressed the importance of advocacy in making an impact on lives and changing the narrative on North Korea.